This is What a Climate Debate Looks Like. Real Scientists on How Fast, How Hard, How High? There’s a new study that’s getting a fair amount of attention in the climate science community and the popular press. Published online in Atmospheric Chemistry and Physics, the paper argues that melting from Greenland and Antarctica will occur faster than previous projections, leading to rapid sea level rise of several meters, potentially this century. It looks at the prehistoric record to conclude that ice sheets are vulnerable to “non-linear” disintegration, or rapid melting from higher temperatures. It builds on a study published last year that found that melting in West Antarctica was effectively unstoppable. Our analysis paints a different picture than [the United Nations] IPCC (2013) for how this…phase is likely to proceed if GHG (greenhouse gas) emissions grow at a rate that continues to pump energy at a high rate into the ocean. We conclude that multi-meter sea level rise would become practically unavoidable. 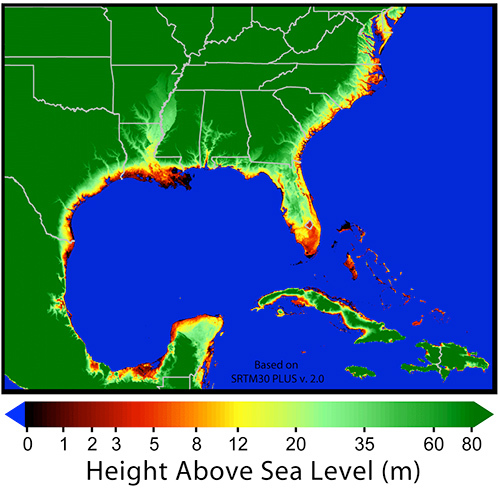 Social disruption and economic consequences of such large sea level rise could be devastating. It is not difficult to imagine that conflicts arising from forced migrations and economic collapse might make the planet ungovernable, threatening the fabric of civilization. As a climate scientist, I find that the study from Hansen et al is provocative and intriguing. But it is rife with speculation and “what if” scenarios. It has many conjectures and huge extrapolations based on what I see as quite flimsy evidence, but evidence nonetheless. In that regard, it raises good questions and topics worthy of further exploration, but it is not a document that can be used for setting policy for addressing climate change, although that appears to be its intent. The paper is long. It hinges upon interpretation of paleo, or prehistoric, and other data that is apt to be somewhat controversial because of dating uncertainties and conversion of proxy data to geophysical quantities. It uses a model that does not, in my view, have a very good climate simulation. There are no differences between model results and observations shown, and some errors appear to be large. No mention is made of short-term phenomena, including the El Niño Southern Oscillation (ENSO) or Pacific decadal variations that dominate interannual and decadal variability in the real world, and which are a key to understanding the recent hiatus in the rate of rising surface temperatures. This absence is significant because recent trends based on short-term fluctuations are not representative of longer-term trends, although frequently interpreted as such. In their section 4.5, the authors point out the need to simulate a number of features realistically, and the model does not really do them very well, especially basic things like sea surface salinity. So the relevance of the model is not established. Yet, they use the model for a number of highly artificial experiments that are supposed to depict melting of ice at high latitudes. These experiments introduce a lot of very cold fresh water in various places, and then they see what happens. The question is: how relevant are these to the real world and what is happening as global warming progresses? They do not seem at all realistic to me. A key to a lot of this is how cloud cover changes as a result of melting and changing ocean temperatures, and one needs to get clouds right in the first place to have confidence in the results. Unfortunately, this is an area where major problems exist. The models have far too much sunshine penetrating to the surface over the southern oceans compared with observations. Trying too hard to make a case? No doubt all of the changes in the southern ocean, featured strongly by Hansen et al, play an important role, but data there are poor, and changes are not well-known. In particular, the recent hiatus in global warming greatly influences observations, which can therefore be quite misleading with regards to long-term trends. Although Hansen argues that the real world is responding even faster than in the model scenarios, this is not at all clear owing to the natural variability. The paper is quite well-written and a tour de force in many respects, but there are way too many assumptions and extrapolations for anything here to be taken seriously other than to promote further studies. The authors often say that “these model limitations must be kept in mind” – and there are many other model limitations not discussed – but then they do not keep them in mind when drawing conclusions. I strongly agree with some of the conclusions with regard to the need for immediate actions to reduce emissions, but it seems that this study has gone out of its way to make the case, stretching credibility. The most important thing in Hansen et al.’s paper is their statement that humanity must do whatever it takes to bring the planet back to radiative equilibrium, as soon as possible That should be our policy goal. I don’t see how anyone with even a passing familiarity with the science can possibly disagree with that main conclusion. I doubt that Dr Trenberth, who certainly has a lot more than a passing familiarity, would disagree with that either, although I wish he had stated it as forthrightly as do Hansen and colleagues. Exactly how the great ice sheets will collapse, and exactly how long it will take, are interesting and important questions that demand further (well-funded!) investigation. But the main point is as clear as a bell. I would hate to see this study end up as fodder for the likes of Judith Curry, certainly many recent papers are leaning towards melt rates speeding up, James Hansen et al are not alone in this. Why are we are so fixed on 2100 as a milestone, I cannot fathom out at all , if the inevitable is delayed by a couple of hundred years does it give us the right to total indifference. What’s funny is not that people have opinions. What’s funny is the incoherence of thought. We’ve been told for years to LISTEN TO THE SCIENTISTS but suddenly if even somebody like Trenberth “sounds indeed like a denier”, now we shouldn’t be listening to the scientists after all. Actually, it should be the scientists listening, if only to understand that they shouldn’t be saying what might be used as “fodder” for “denialism”. It’s funhy because you have no idea what we’re saying. We’re not saying we shouldn’t listen to Trenberth, or even that he’s wrong here. We just have a problem with his message to an easily confused and misled public. In my view, he pretty much savages Hansen et al here in a public space, and practically a day after the paper comes out. He has a sentence in there that reads, “The paper is long.” I take that as code for: he hasn’t read it in full. He might have legitimate points, and he might not. Time will shake the details out, and people who DON’T already have their mind made up (like you) know this. I just question how Trenberth’s response helps public policy towards an issue he himself believes is important. Trenberth can listen to our opinions or not. Ours are just opinions, after all, not the actual science behind the discussion. omnologos, I’m going to take another try here, even though you walked away from a civil discussion with me some time ago. that Trenberth disagrees with some of the assumptions, models and conclusions of this paper does not make him a denier. A denier might make comments similar to Trenberth’s. But he would then go on to say that it invalidates every paper Hansen has ever written and that Hansen is a fraud who should not be allowed in the debate. That conclusion is not only inaccurate, it is not appropriate in a peer review. And yet the denier community not only allows it, but actually celebrates this corruption of an established process. omnologos, read the others’ comments again. You may find comments that Trenberth’s comments are premature and concern that he will raise the appearance of fighting among climate scientists. You will not find ad hominem attacks nor find him labelled as a denier. The reason that Trenberth is not considered a denier by any of the usuals here is because he does not deny the reality of anthropogenic climate change. He takes issue with the underlying models and assumptions and therefore some of Hansen’s conclusions. From a scientist’s perspective, such criticisms are fair game. It is now time for Trenberth to put a little more meat in his critique and then for Hansen and his co-authors to respond. Other scientists will get involved, some arguing one side, some the other and the vast majority likely somewhere in between. This is called peer reviewing the paper, which is usually done in private so that the edited paper will emerge in print, or be rejected. By “edited”, I mean that Hansen et al may decide based on the criticisms that they’ve made some errors or could have worded things better to more strongly support their argument. If enough qualified people say *and can justify*, “This paper is scientifically weak because of xyz, which should be corrected prior to publication”, the editors may reach the same conclusion. Should Hansen et al refuse to make the changes (and this were a private peer review process), then the publication would likely reject it. Happens all the time. Frankly, it takes guts to put your paper out in the public eye prior to peer review. If one has made a mistake, then it’s preferable to fix it before the community gets a look at it. People can make honest mistakes or be unaware of recent unpublished research or there can be genuine dispute over an issue that can only be resolved via additional experimentation. I admire Hansen’s courage in continuing this fight and to publish a paper that is at the upper limits (as we currently understand them) of what may happen due to global warming. He knew publishing this paper would get him an inordinate amount of flack, and doing the peer review in public only more so. I’m happy that Trenberth is in the conversation and hope (forlorn though it may be) that most of the debate will involve primarily other climate scientists (the peers in “peer review”) who use a science-based approach to their criticism. 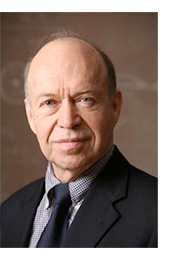 I’d welcome Lindzen or Pielke or whomever under the condition that they read the paper with an open mind and criticize flaws in reasoning, assumptions and models, and do not criticize Hansen’s character (or that of his co-authors). For an interesting study, you might count the number of ad hominem attacks in the critiques made by scientists with a denier perspective vs. those without that perspective. Some of the irritation you’re reading here is that Trenberth has made some pretty strong claims without having had anywhere near enough time to investigate whether there is justification in using those models, and then framing that complaint in pretty strong language. People need to be awakened to the seriousness of this issue (a point with which Trenberth strongly agreed). So much effort has gone into discrediting science that has taken a cautious and robust approach to understanding climate change. Perhaps Hansen felt that his research was going to be wildly misrepresented no matter what he published, so he might as well publish the extreme and hope that some of the conclusions make it out of the noise. Perhaps he can make a scientifically rigorous justification of all his assumptions and conclusions (which, by the way, he has consistently done in the past, ad hominem attacks and blatant misrepresentations notwithstanding). I don’t know whether either of those guesses is true. I don’t know the man. But I look forward to learning what the community of climate scientists conclude (and shrink from the unscientific evisceration that will go on at WUWT and other such sites). OK, an hour gone when I should have been writing software. Have a great day. Can’t remember walking out on you. Anyway my observation remains that Trenberth raised against Hansen a series of points usually used by others, including scientists like Pielke Jr and Curry and Tol that are not in the alarmist camp. As for where the opinions are, Mann has also expressed reservations about Hansen’s paper. Maybe getting it out via a PR firm wasn’t such a good idea (according to Revkin, the PR was done on a version of the paper different from the one which got submitted for publication). Based on the concerns posted here on various comments, there’s definitely a lot of emphasis on PR and concern about what people might think and who could take advantage of an opinion or another, or what scientists should or shouldn’t say in public. This is a sign that evidence for the Big Worry just isn’t there. When it’s snowing, as somebody pointed out, it’s snowing. You don’t need no PR firm to show people that it’s snowing. This doesn’t deny a future climate crisis. It just shows people who look for it in the present, are wasting everyone’s time. “This is a sign that evidence for the Big Worry just isn’t there” etc. More Omnologic on display. Why does Linda waste her time trying to talk to him when she could be spending her time more profitably? (writing software on a Sunday morning—really?) ???? Unable to respond to my points, having failed to convince Peter to kick me out, you spend your time writing metacommentaries hoping to drown me out or anyway bully your way to rhetorical victory. So sweet of you to care, DOG! I talk to omnologos because I can learn from him something of the basis of his firm beliefs. From my perspective as a scientist, it truly bothers me when people make claims that they really believe that to me are not representative of the data. I’ve even been spending time on WUWT, which is no picnic, let me tell you. It’s all part of my long term project to be able to communicate across this huge divide. And yes coding on a Sunday, writing posts on a Saturday night, creating investor pitches for clients on other days – It’s pretty much 12/7/365 for me. I’m a sole proprietor with a poverty-stricken clientele (early stage entrepreneurs), so I have to make up with volume what I can’t earn on individuals. I most definitely DO care, Linda. I am one of the teufelhunden, and you definitely need a serious guard DOG when you venture onto Crock and attempt “communication” with the likes of Omnologos.. I can’t decide whether your naivete is greater than your sincerity or vice versa, but you DO need to pay attention to jimbills and I so that you can spend your valuable time trying to make a buck rather than playing Don Quixote. You will never learn from Omno and the other deniers “something of the basis of his firm beliefs” by “talking” to him or them. That’s a job for a psychiatrist/psychologist, and that is way outside your area of expertise. It SHOULD bother you when people “make claims that they really believe that are not representative of the data”—-it bothers all of us that have the training and brains to see their willful ignorance. And you have been spending time on WUWT, and say it is “no picnic”? LOL and LMAO! You should be spending your limited time on skepticalscience instead. And you say that “It’s all part of my long term project to be able to communicate across this huge divide”. That comment has pushed “naive” ahead of “sincere” on the Linda meter, as has what you said after the three points you posed to Omnomoron in another comment. “Truly – I want to know why you are so convinced as the research I have done into WUWT and other sources has shown me no convincing argument for any of the above, for the reasons given. But you (and others in my family) are confident – so please help me understand”. There is “no convincing argument” for virtually all of the BS that the deniers spout, it has been debunked time and again. They simply keep repeating it because they WANT to believe it, and think that it will magically become truth if they repeat it often enough and nod in agreement when others say it. The word “convince” is meaningless to them—-it only means something to people who think like us and who are science trained—-observe, compile verifiable facts, form hypotheses that fit the facts, test the hypotheses, tell others so that they can replicate or refute, listen to those others (if they are qualified and follow the same processes) and refine, always remain open-minded about results, and so on. The Omnos do not and never will operate that way (see jimbills closing), and you waste your time trying. You would be better off spending your time reading the research about why they are the way they are, and that lies in the realm of psychology rather than scientific “debate”. Linda – I always enjoy your posts. In regards to “communicating” with the other side, though, you have to understand that not all people see/process info like you. One of the problems that people with an open and considerate mind have is that they assume others have the same mind, and they don’t. There’s no convincing in these cases, as their method of thinking is like a lawyer preparing a case, or a debater formulating lines of argument. Their goal isn’t to be open to the actual truth, but to win the conversation, or at least to appear, in their eyes, to win it. DOG, JimBills, thanks very much for your support. Jim, I am so pleased that you enjoy my posts as they tend to run overlong and I wonder how many people think tl,dr. I appreciate both the “naive” and “sincere” adjectives, DOG. I don’t have a good argument for why they shouldn’t apply. All I can say in my defense is that it is important to me to try (and I often learn things in the process). So again, omnologos, prove the naysayers wrong, please! Show me that you want to put your money where your mouth is. I am not going to insult you or resort to sarcasm. I will review the data you send my way and be convinced if the evidence merits it. Please note my specific requests in that post for the data that back up your conclusions. There is nothing radical in those requests, I’m just setting the ground rules for what will help convince me. Thank you. Main difference is that I don’t need or crave support or consensus. What other skeptics say it’s for them to defend. Satellite temps I don’t see as better or worse in general. Hockey Stick isn’t a fraud, rather an over tempting imaginative ides. The pause discussion isn’t relevant to long term warming. As for convincing arguments and open mindedness I csn state what would change my mind, namely the observation of something sustained and unprecedented, eg south Atlantic hurricanes or rainy Sahara or whatever you can think of. I won’t hold my breath awaiting what the others here would need to stop worrying too much about climate change. If it was you who walked, you said something to the effect that you were too busy, and that I should go look up Richard Lindzen and talk to him instead. Does that ring a bell? I understand that some of the comments are similar. No scientist that I know of has a problem having their methods and data challenged. What they (and I) have a problem with is people who refuse to accept valid responses to those challenges, then turn to cherry-picking and ad hominem attacks in order to justify their refusal to accept those conclusions. Then why do the temperatures from the satellites that are always quoted vary from each other as much as they vary from ground temp? And since they also show an increase in temp with time at about the same slope? See guest post on WUWT by Bob Tisdale on 12/10/2014 for graphs. And why didn’t the BEST project reveal that surface temp readings were unreliable? Please point me to any graph that shows that temperatures do not show a hockey stick progression from 1800 or earlier to present times that does not represent at least the blade of the hockey stick (using satellite or surface temperature readings when they are available; or other data if you can justify why they are more reliable than temp). In every graph I’ve scene from your side of the issue, there’s a horizontal line drawn through the graph. The line is anchored by major warm events at or near the beginning of these graphs and appear to be drawn by eye. If you create the same graph using 10 year averages (as is typical when evaluating long term trends), the line is not flat. It might not be as steep recently as previously, but the increase continues. So: please show me any graph that uses 10-year averaging that shows no warming. Alternatively, show me how the pause theory is relevant in light of #2 above. Truly – I want to know why you are so convinced as the research I have done into WUWT and other sources has shown me no convincing argument for any of the above, for the reasons given. But you (and others in my family) are confident – so please help me understand. Now who on Earth ever told you to “listen to the scientists”. I grew up in the same country that you reside in and ply your trade, and no person ever told me that. 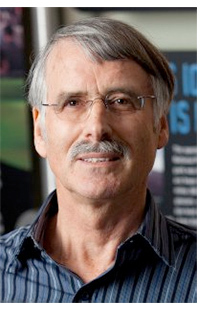 Prof Trenberth sounds nothing like a denier and never has, he is a respected 70 year old climatologist who has earned the right to an opinion and to air them publicly. He is not saying all is fine and keep on burning fossils. You are desperately and pathetically trying to implicate there is a huge conflict of opinion, where there is not. redskylite – you’re the one more pathetic than I remembered. Where did I say that there is a huge conflict of opinion. My points have been that (1) Trenberth used against Mann the classical non-alarmist arguments and (2) this made a lot of commenters here uneasy with one of the scientists upon whom we are supposed to rely to make the right policy decisions regarding climate change. If “Sometimes a non technical person has to make decisions or judgements based on expert advice” then the idea that one should not just be guided by the experts is pretty legitimate. In other words, the debate is open and not just confined to Kev and Michael having the occasional spat. Not that I expect the logical connection to be made. Laugh of the day—-OmnoMoron calling redskylite (or anyone else) “pathetic” and trying to convince himself that he has made any “points” that those of us with real logic skills can “connect”. Trying to “connect” up Omno’s non-logic is like trying to move a strand of cooked spaghetti by pushing it from the end—-can’t be done. Omno maunders on about “….scientists upon whom we are supposed to rely to make the right policy decisions regarding climate change”. WHAT? The scientists do not make the policy decisions but merely report the best science to those who do—-so that they can do the “right thing”—-the governments and corporations. And this one needs to be added to the “All Time Greatest Omno Stupidities” collection. “Sometimes a non technical person has to make decisions or judgements based on expert advice” then the idea that one should not just be guided by the experts is pretty legitimate”. WHAT?! and WHAT??!! again. Someone PLEASE help me! I’m drowning in confusion and my brain is melting! WHERE is “the logical connection to be made” in that mess?. I would just love to see Russell Cook and Omno have a ‘conversation together’ then we could just leave them at it in their special padded cell. I just knew it couldn’t last. Dumbold and now Lionel reverting to type, abandoning all content and finding solace in the usual self-pleasuring incoherent musings. I do hope the world isn’t going to burn because if it’s you guys that are the ones who could prevent it, well, it’s doomed. Very much doomed. And Omno strikes back! With his usual weak and pathetic attempts at “wordsmithing” and “phrase turning”. “….usual self-pleasuring incoherent musings”? Lord love a duck, but that’s overly florid BS (to say nothing of the fact that it is a self-description of what Omno himself practices—-he is at present the best example of mental masturbation on Crock—-can I rename him OmnoWanker?). “Sometimes a non technical person has to make decisions or judgements based on expert advice” then the idea that one should not just be guided by the experts is pretty legitimate”.